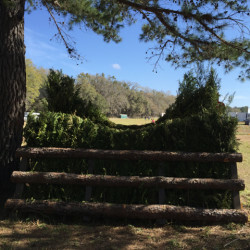 Never one to rest on his laurels, when we bump into Mike Etherington-Smith on course at Red Hills Horse Trials, he’s already finalising plans for next year’s cross country in his head. 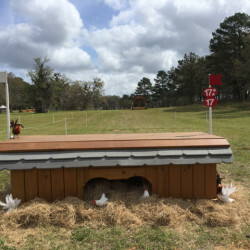 Today horses will set off on his course here for the first time and he says he’s still learning about the land, and getting to know the layout but that he’s already much more comfortable. 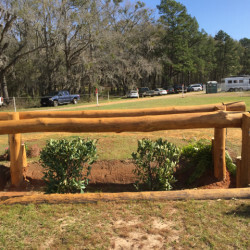 “From here on in I’ll need less visits because I can do a lot just talking with Tyson (Rementer, course builder) and with Jane (Barron, Co-Organizer). 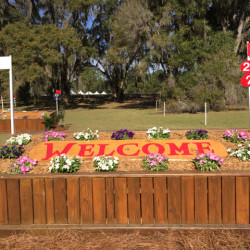 I’ll come back and I’ll pop in because I’m in and out of the States quite a lot (Ocala, Great Meadows, Plantation…) I can remember sites quite well luckily, and it’s a package — you do a lot of thinking as well as the time spent on the ground, chewing things over, and you try and come up with a balance and a package, it’s not just a series of fences randomly dumped on grass. 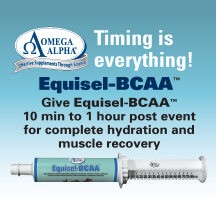 That’s what takes the time. 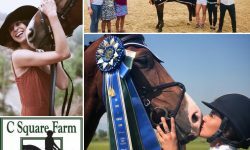 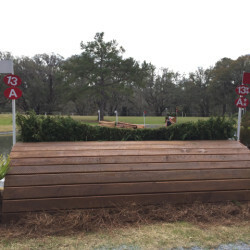 It’s coming up with something that has a good feel, a good flow, a good balance, and that just takes a little bit of thinking time, and then you can get into the look of the fences. 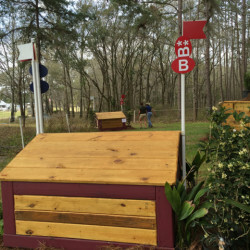 The jumps, as usual, are beautifully built and presented, and not having been to Red Hills since the course switched from the other side of the park, it’s a completely different feel. 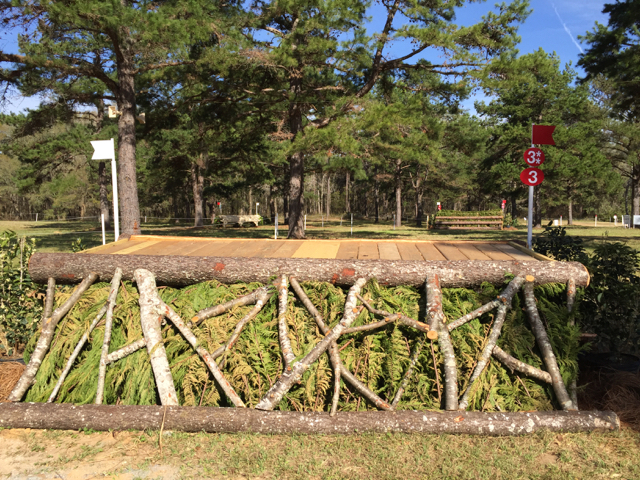 The tracks encourage more galloping, and on a hot, sunny day like yesterday (sorry to everyone reading in UK, and up in the cold, cloudy North, it’s been completely heavenly here!) 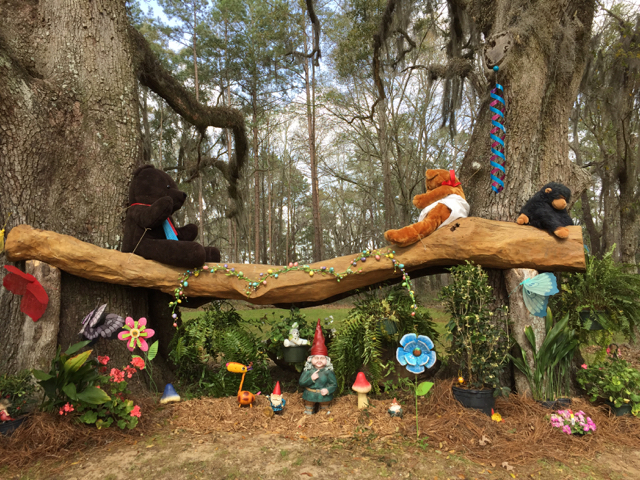 the gorgeous oak trees covered in spanish moss offer welcome shade and some cool. 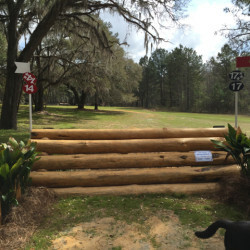 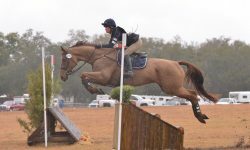 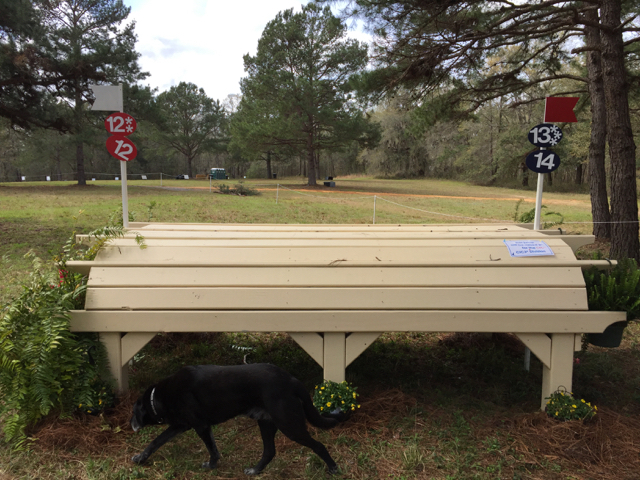 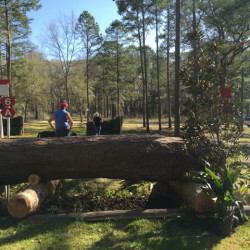 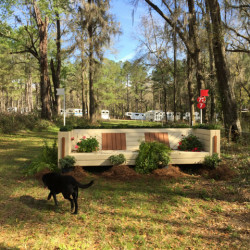 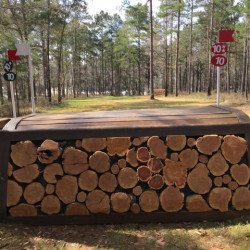 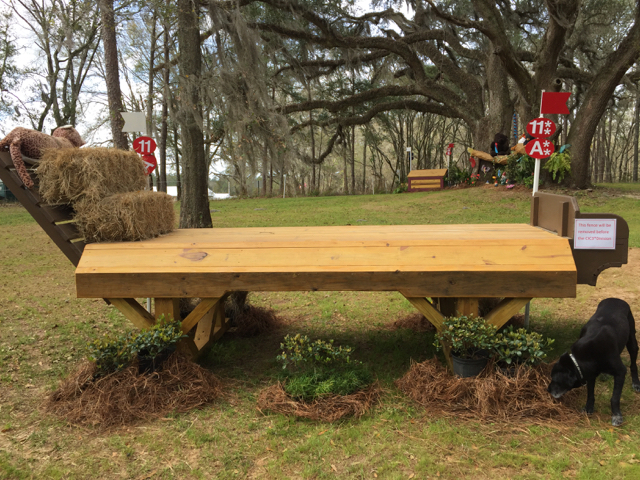 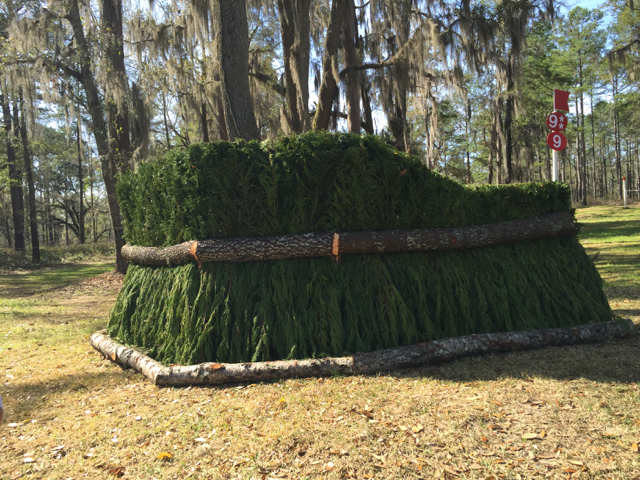 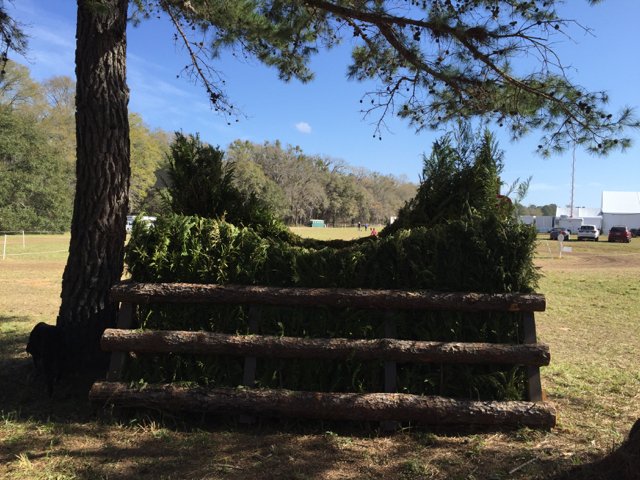 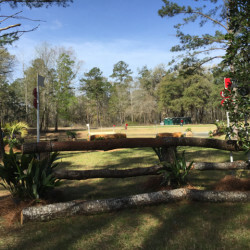 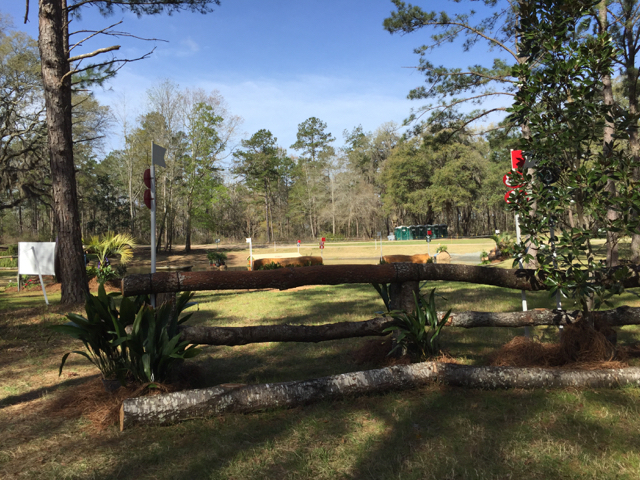 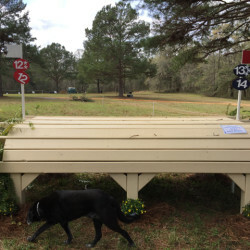 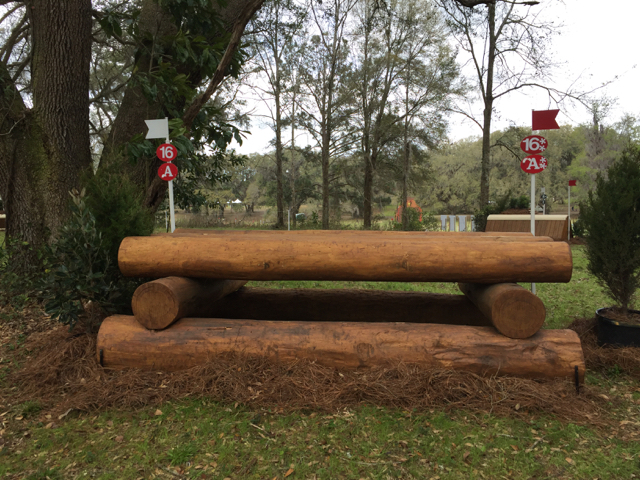 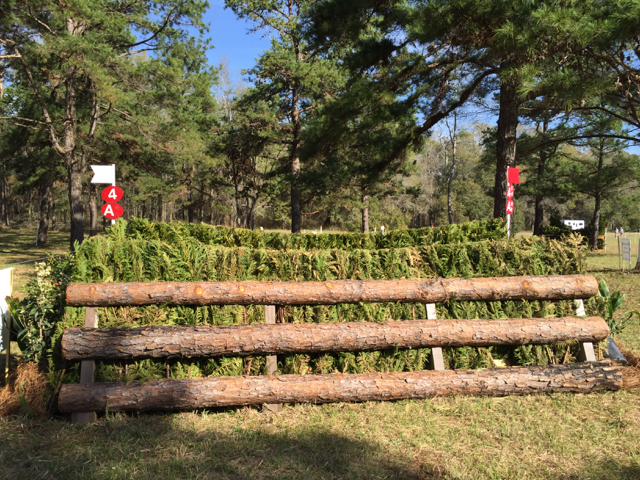 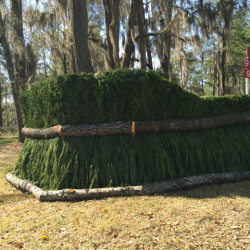 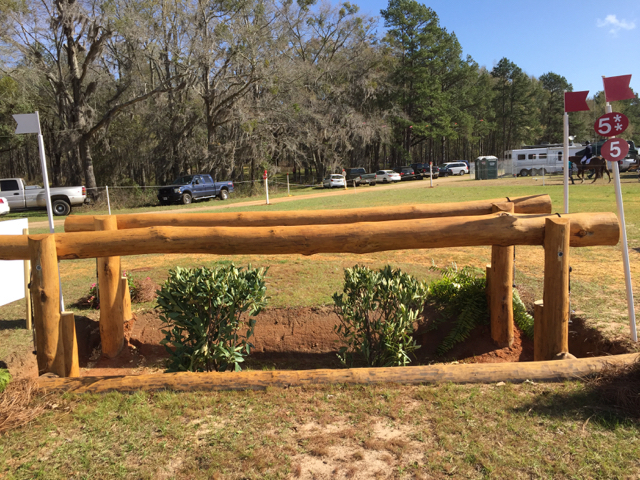 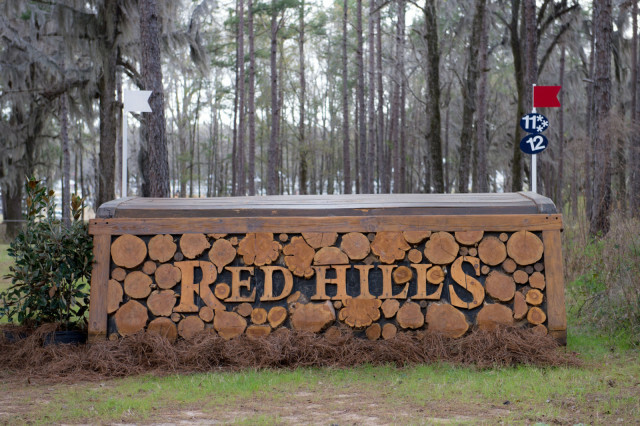 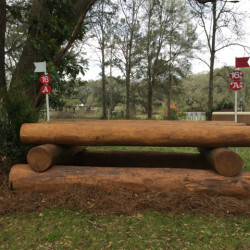 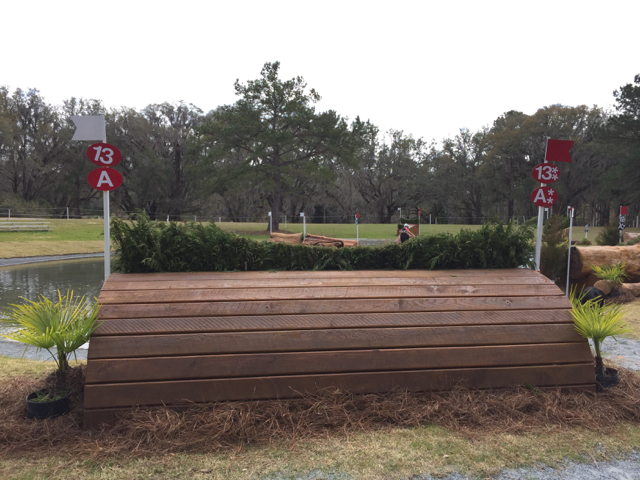 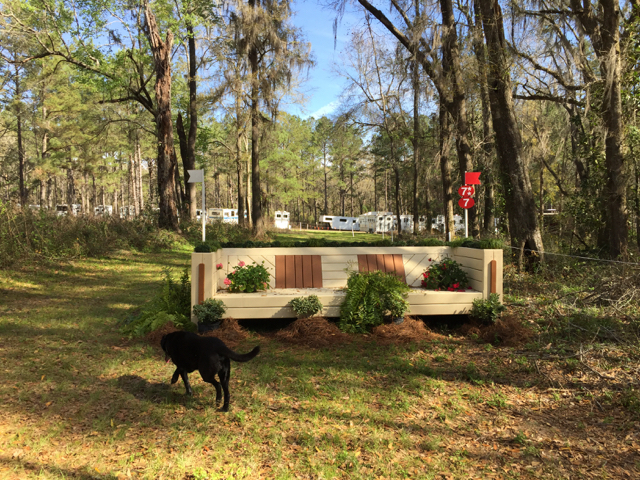 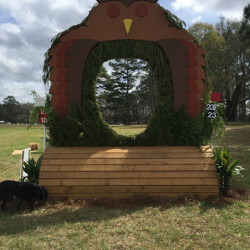 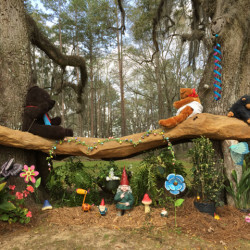 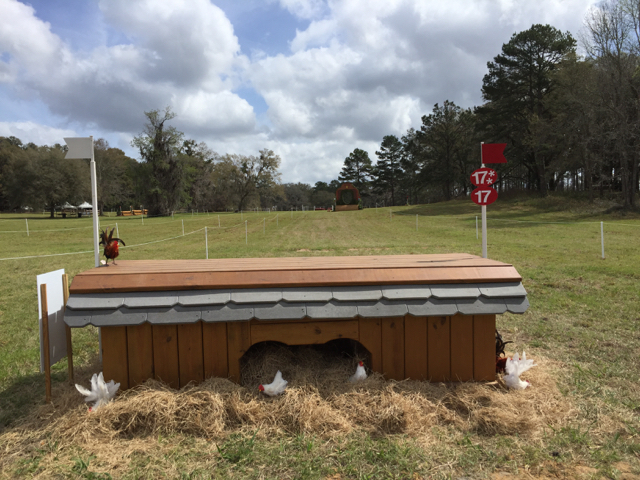 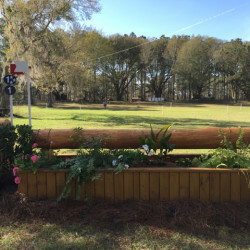 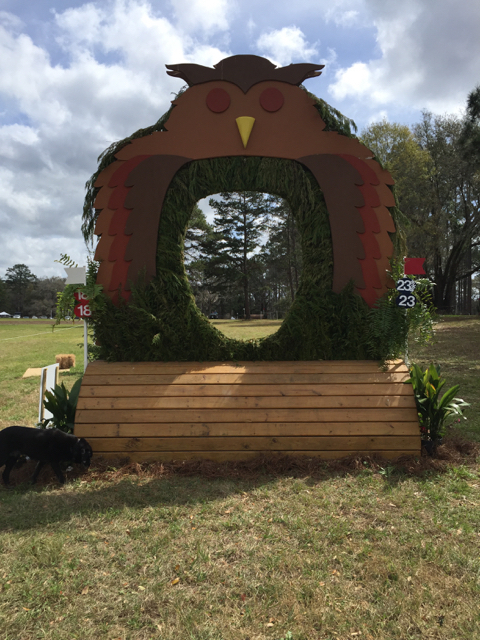 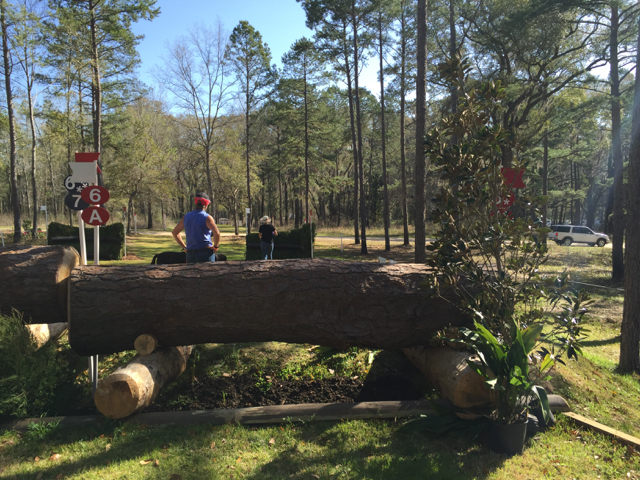 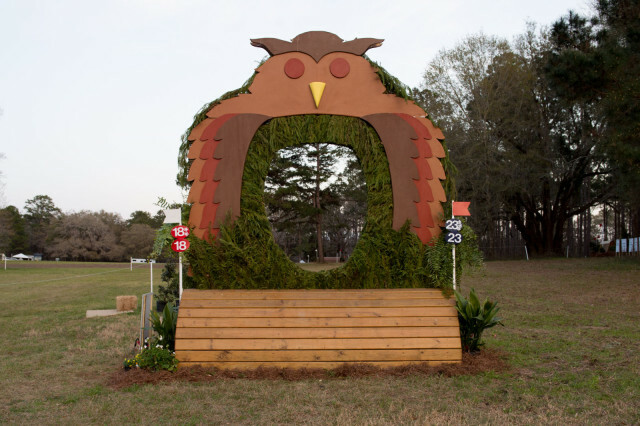 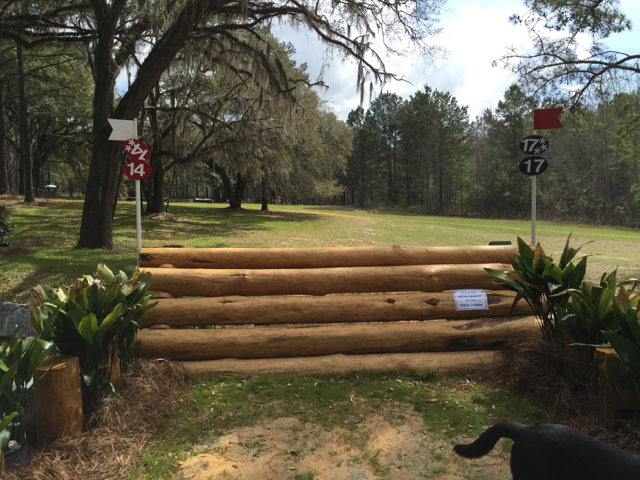 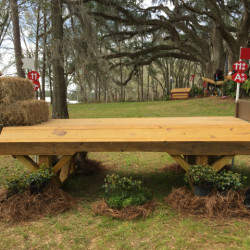 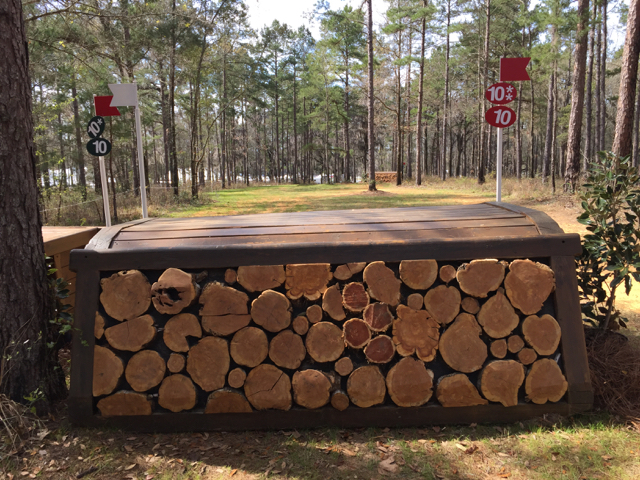 Thanks to EN’s good friends at CrossCountry App and Red Hills photographer Shems Hamilton, we have photos of every fence on the CIC3* course with commentary from course builder Tyson Rementer. 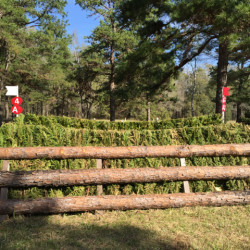 View in full screen mode to scroll through all the fences. 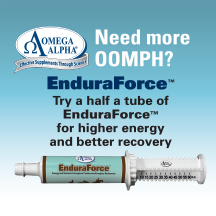 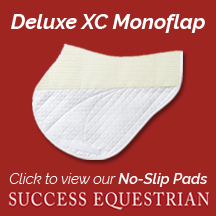 You can also click here to view them on CrossCountry App’s website. 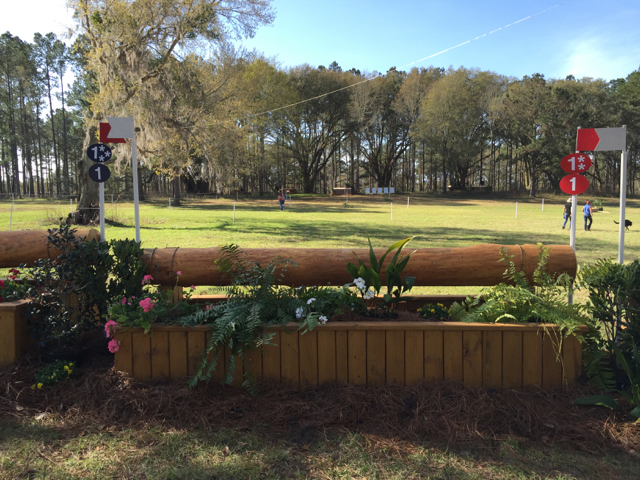 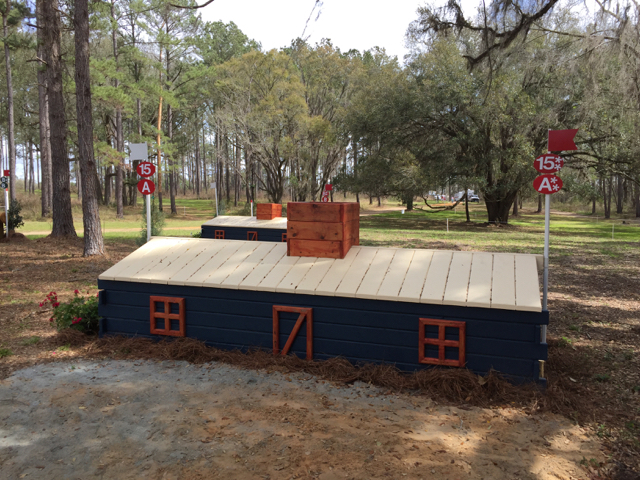 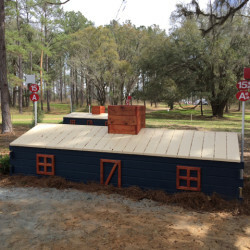 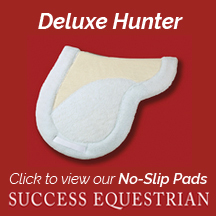 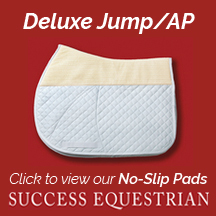 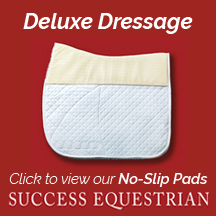 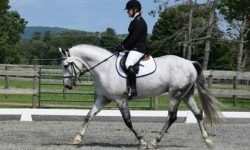 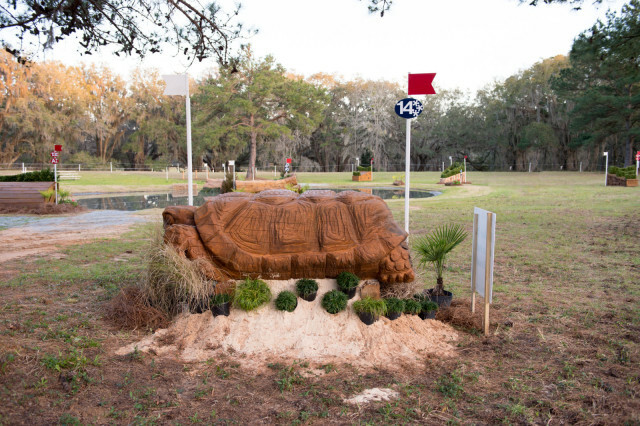 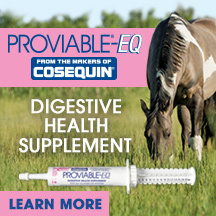 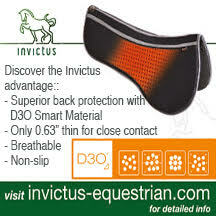 Keep scrolling below to see a full photo gallery of the CIC2* designed by David O’Connor. 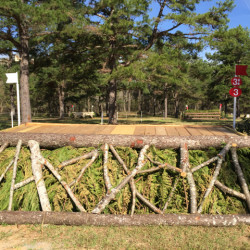 Today is going to be a busy and exciting day — the competition is full of depth and quality, and we’re hopeful for another good day weather-wise. 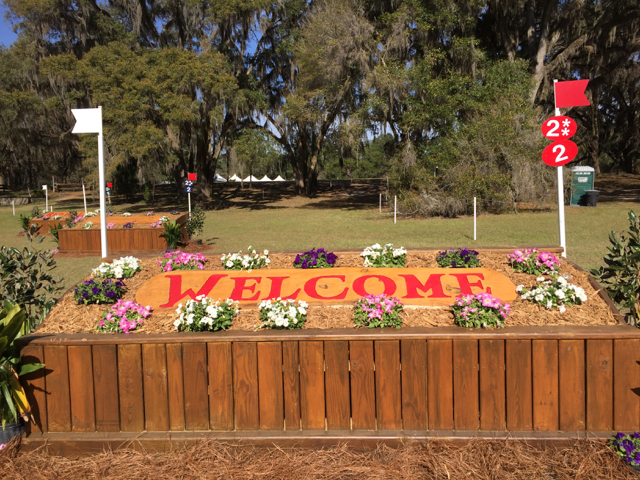 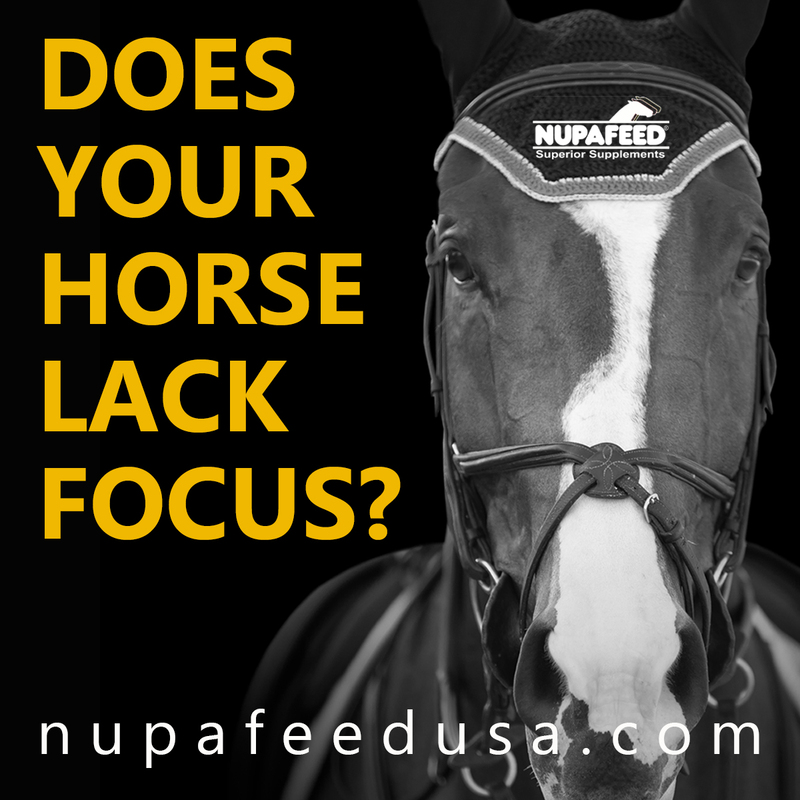 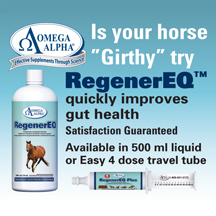 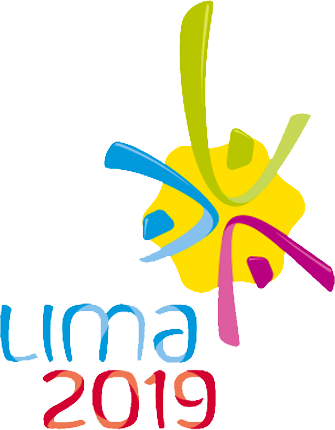 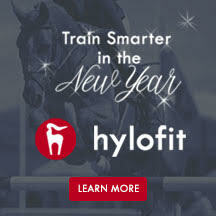 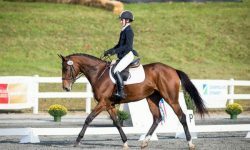 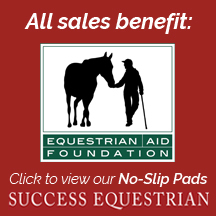 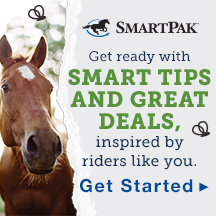 Cross country starts at 8 a.m. with the CIC2* and runs all day, and the CIC3* show jump starting at 11 a.m., and then go cross country later in the afternoon. 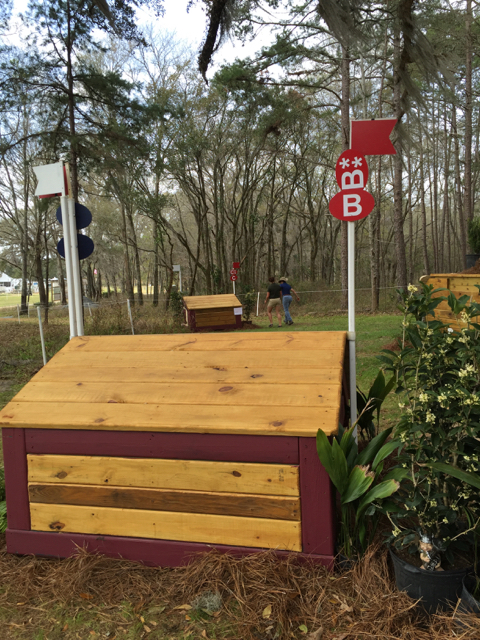 Many thanks to Mike Etherington-Smith for stopping to chat with EN! Go Red Hills, and thank you for reading.